Looking to purchase first pellet pistol, recommendations? 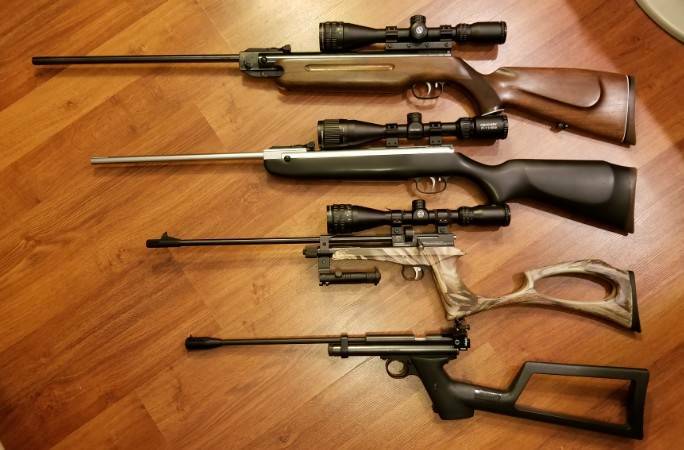 Airgun Archery is in Manitoba, check the website, https://airgunarcheryfun.ca/air-rifles/, you can PM Wes here in the forum or email him at wesleyb@airgunarcheryfun.ca, guaranteed very good service. I noticed nobody recommended any break barrel breach pistols, should they just be kept for rifles? Generally to hard to break having no leverage? Well spring airguns take some magic to shoot accurately, put it in a pistol form. Its much harder. Makes sense about what you guys are saying about springers in a pistol. Is the HW45 considered a break barrel? Either way don't think I'm ready to spend that much on a pistol right now but looks to be a nice shooter. The only reason I'm mentioning a break barrel pistol is that I'm interested in the various power plants in both rifles/pistols (with out getting into PCP's just yet). I'm probably going to get some slack for even mentioning this pistol.....The Benjamin Trail NP but what makes it so bad besides the heavy trigger, seems with the NP it wouldn't be as hard the break and have a lot less vibration with descent power. My guess is with the trigger (which i'm not sure can be modded) you lose all accuracy? NP has just as much if not more recoil as a springer. If you are ok with general accuracy, hitting a tin can, then ok. If you want to stack pellets it's the wrong choice. Even in a rifle it take a lot of practice to extract the accuracy of a springer or NP by learning how to hold it correctly. Stay away from modding a springer or NP trigger until you know what you are doing. Has to pass the bump test. My advice just don't do it for now. Most air pistols in Canada are under 495 fps and probably closer to 400fps. Over 500fps and it's a restricted firearm with all the laws that goes along with it. HW45 is a SSP. Single stroke pneumatic. Essentially a pcp with one shot. Ideal for accuracy. hehe~ I think you mean HW30 and just picked the wrong word from the quick input memory from your keyboard right? HW45 is a very huge and nice built spring powered pistol (not SSP). It's very accurate if you get used to it. But not a good choice for the first gun ~ maybe it may scare you and let you think why a gun that expensive can shoot that bad.... But maybe a must have on your collection later in the future. For out of box shooters, P17, HW30, Chaser, 2240 will all be the good choice ~ first two are .177, following two are .22 caliber. Whoops. Sorry about that. HW45 = springer. Thanks YepYep. O.K great, I've pretty much made up my mind with all your help. Going with a P17 and a Chaser for now. I guess a little off topic since thread consist of "looking for a pistol" but since I'm going with the Chaser should I opt for the Rifle kit on it as well (if there's any stock anywhere anyway) so I have the option to use it both ways or waste of extra money? Also does anyone have any positive experience with the available mag for it or keep it single load? 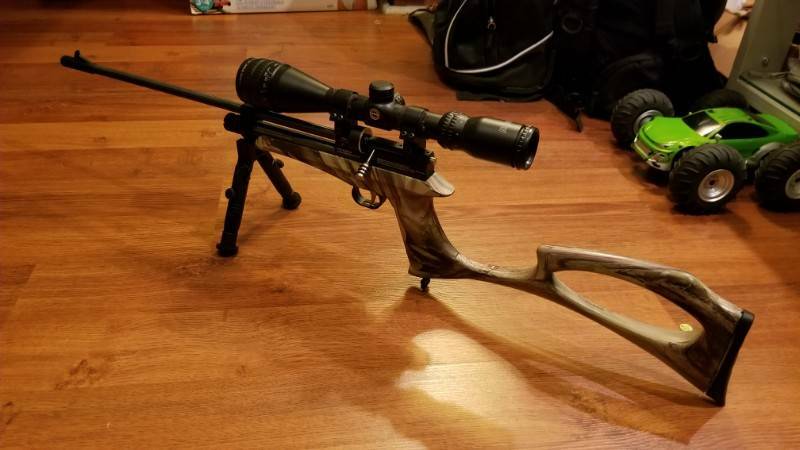 But, keep in mind, although with the stock, it's still a small size carbine, and you may need to make extra adjustment for your pose between shooting the Chaser and other full / normal size rifles. Last edited by YepYep on Tue Apr 16, 2019 3:09 pm, edited 1 time in total. Last edited by YepYep on Tue Apr 16, 2019 3:10 pm, edited 2 times in total.